Do the words “wildlife sanctuary” conjure a picture of dense forests, of tall thickets of grass, of lush greenery? You’re in for a surprise then. Desert National Park is nothing like that. 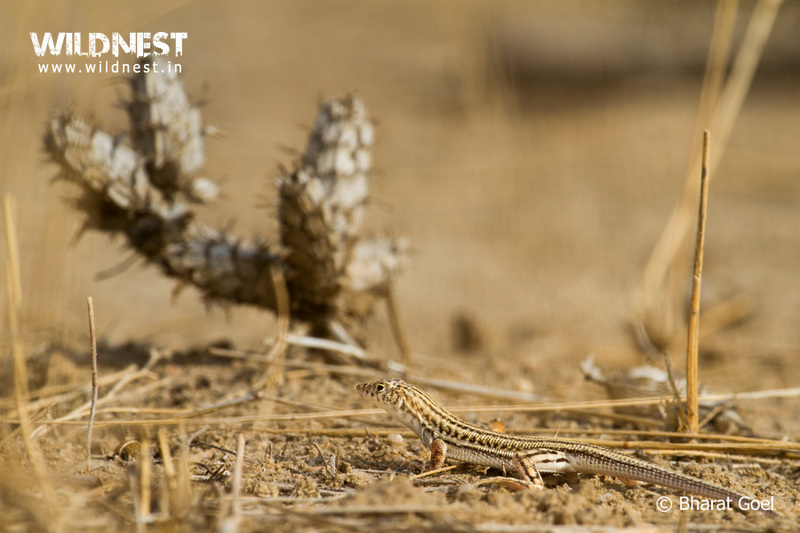 As its name suggests, one-fifth of the park is composed of sand dunes – yellow and shimmery – demonstrative of the fragile ecosystem of the Thar Desert in western Rajasthan. The rest of the landscape consists of scrubby thorns and extinct salt lakes. Surprisingly, despite such harsh conditions, flora and fauna continue to thrive in the park. 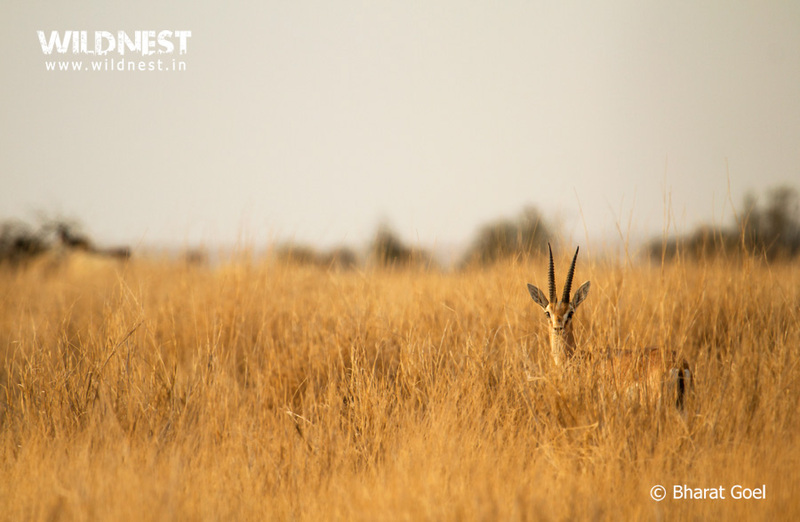 Desert National Park is the only place in Rajasthan where the state bird, animal, plant and flower of Rajasthan – the Great Indian Bustard, chinkara, khejra and rohira respectively – naturally exist. Due to the park’s proximity to Bharatpur Bird Sanctuary, it also plays host to flocks of demoiselle cranes and the houbara bustard in winters. However, the Great Indian Bustard steals the show due to its endangered status. The tall, graceful bird is found aplenty in this park; it is one of the last spots to have a considerable number of the bustards. Due to the bird’s seasonal migration to local areas, sometimes it can be taxing to spot it. One of the best kept secrets of the park is its rich herpetofauna. Over 11% of the 456 reptile species found in India, inhabit the national park. Persian gecko, dwarf gecko, Indian spiny-tailed lizard, desert monitor, Sindh awl-headed snake, toad-headed agama and saw-scaled viper. Desert National park is one of the rare parks that also attract palaeontologists (people who study prehistoric life). Fossils of 6 million year old dinosaurs have been found here. 180 million years old fossils of animals and plants are preserved at Wood Fossil Park at Akal, situated 17 km away from Jaisalmer. All in all, the Desert National park should be on the must-visit list of every traveller seeking a new and thrilling adventure. Safaris on bullock cart to explore the place is a rare experience to cherish in this park. Animals include blackbuck, wolf, chinkara, Indian fox, desert fox, desert hare, desert cat and the long-cared hedgehog. The birds that can be spotted include the Great Indian Bustard, oriental white-backed vulture, partridges, larks, the sandgrouse, doves, shrikes, bee-caters, chats, babblers, buzzards, falcons, kites and different species of eagles. These birds are residents of the park. Migratory visitors include demoiselle cranes, the houbara bustard and waterfowls.